BULLET FOR MY VALENTINE nuevo tema "Raising Hell"
La nueva canción de BULLET FOR MY VALENTINE titulada "Raising Hell" fue estrenada anoche en la edición de la BBC Radio 1 "Rock Show" de Daniel P. Carter. BULLET FOR MY VALENTINE: lanzamiento digital del single "Raising Hell"
El nuevo single saldrá el 10 de diciembre. Bullet For My Valentine han entrado en el estudio con el productor Colin Richardson (CANAL, Fear Factory, Machine Head) y el productor / ingeniero Carl Bown para comenzar a grabar su quinto álbum que esperan lanzar este verano. Going into this process, we couldn't be more happy or excited to have our man Colin Richardson back behind the desk again. We worked with Colin on our first two records, 'The Poison' and 'Scream Aim Fire' (as well as the self titled' BFMV' EP) and as we listened back to those records during the writing process for this new album, we realised what a special vibe and excitement these records have, and why they're held in such high respect by our fanbase. This album, though, is not about going backwards. We're excited to work with Colin again, but equally excited to be working with Carl Bown for the first time, who we consider the most exciting new British record producer out there right now, and the guy to help take this Bullet record to exciting new places. Today we start the recording process for #BFMV5. We'll be taking and uploading one exclusive new photo from the studio per day on our instagram account over at http://instagram.com/bfmvofficial/ so if you're not signed up yet, you're missing out, as we've just posted our first pic over there now. 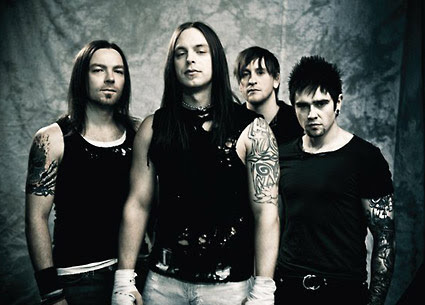 Con pesar Bullet For My Valentine tienen que anunciar que Jay James ya no es miembro de la banda. Jay ha sido parte de esta banda durante más de 12 años y sera para siempre parte de nuestras vidas, lo echaremos de menos tanto como vosotros. Queremos desearle todo lo mejor y éxito con lo que decida hacer a continuación, siempre estaremos agradecidos por su contribución y sacrificio por la banda. Vamos a anunciar el sustituto de Jay cuando pensemos que es momento adecuado, pero hasta entonces estaremos ocupados y enfocados en grabar nuestro próximo disco y nos aseguremos de que sea nuestro mejor álbum hasta la fecha. 2015 se perfila como un año muy importante para nosotros, con un montón de cosas interesantes pasando detrás del escenario, y que vamos a anunciar tan pronto como nos sea posible. Gracias a todos por vuestro continuo apoyo. It is with regret that Bullet For My Valentine has to announce that Jay James is no longer a member of the band. Jay has been a part of this band for well over 12 years and part of our lives forever, and we're gonna miss him as much as we know you guys are too. We wanna wish him all the best and success with whatever he chooses to do next and will always be grateful for his contribution and sacrifices he made for this band. We'll announce a replacement for Jay when we feel the time is right, but until then we're gonna be busy and focused recording our next record and making sure its the best album we've ever made. 2015 is already shaping up to be a massive year for us with lots of exciting things going on behind the scenes which we'll be announcing as soon as we can. BULLET FOR MY VALENTINE: "No Way Out" adelanto de su nuevo disco "Venom"
Bullet For My Valentine han titulado "Venom" a su nuevo álbum, cuyo lanzamiento está previsto para el 14 de agosto. El CD fue grabado con el productor Colin Richardson (Jorncarcass, Fear Factory, Machine Head) y el productor / ingeniero Carl Bown. El nuevo bajista de la banda será Jamie Mathias. El nuevo tema "No Way Out", ha sido lanzado como single digital (Lunes, 18 de mayo) y se puede escuchar a continuación. Welsh metallers BULLET FOR MY VALENTINE have set "Venom" as the title of their new album, due on August 14. 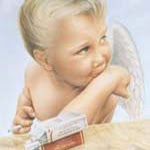 The CD was recorded with producer Colin Richardson (Jorncarcass, Fear Factory, Machine Head) and producer/engineer Carl Bown. A track from "Venom" called "No Way Out", will be released digitally tomorrow (Monday, May 18) and a lyric video for the song can now be seen below. 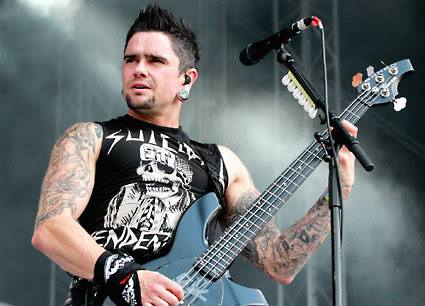 BULLET FOR MY VALENTINE recently parted ways with bassist Jason James and replaced him with Jamie Mathias. 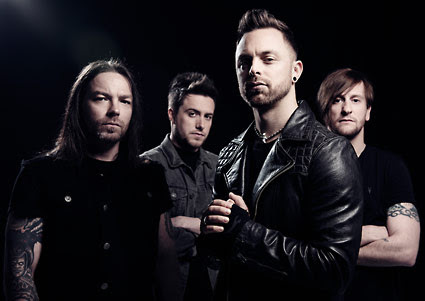 BULLET FOR MY VALENTINE: nuevo tema "You Want a Battle? (Here's a War)"
BULLET FOR MY VALENTINE: nuevo tema "Army of Noise"